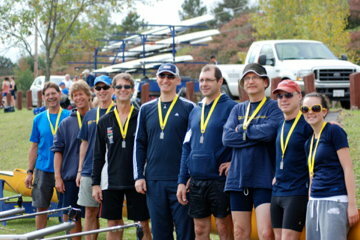 1998 - Island Lake Rowing Club was founded by a small group of volunteers. 1999- ILRC was incorporated as a Non-profit organization. 2007 - Para rowing program started. 2008 - A new boathouse was constructed. It was built on a dirt floor and had no electricity. 2011 - ILRC got a second dock to help with a higher volume of dock traffic. 2014 - An addition is added to the boathouse, including a second bay for more boat storage of the smaller boats and an erg/meeting space.